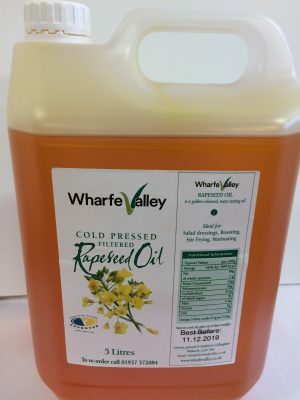 Our original and delicious plain Cold Pressed Rapeseed Oil is available in an economy, 5 Litre, plastic jerry can and is ideal for all your cooking needs whilst being extremely good for you. It contains less than half the saturated fat of Olive Oil and contains Omega 5 and Vitamin E.
Our Rapeseed Oil is also available in 250ml bottles, 500ml value packs. 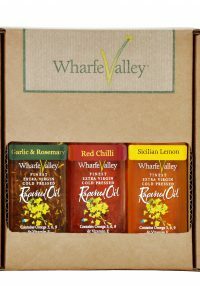 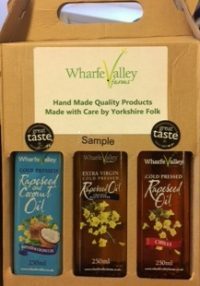 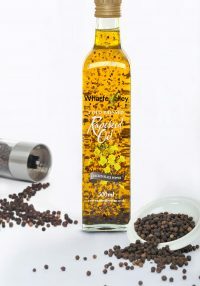 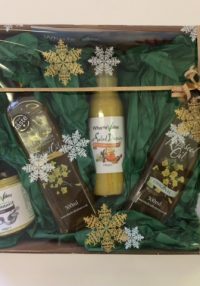 Our Rapeseed Oil is also available in 250ml bottles, 500ml value packs and infused flavours are available in 5 Litre including Chilli and Sicilian Lemon.